National leaders are meeting in Poland to discuss climate change. We in Arlington are addressing carbon emissions and climate change through Arlington’s Community Energy Plan. How can you take action to reduce your carbon footprint? 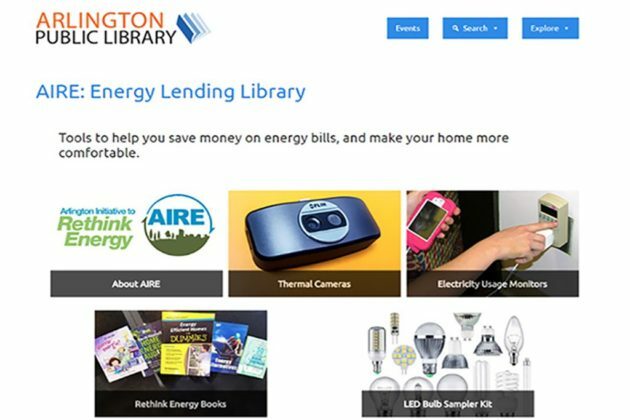 The Energy Lending Library is just one of many ways the county is working to achieve the goals of the Community Energy Plan. Every action makes a difference. 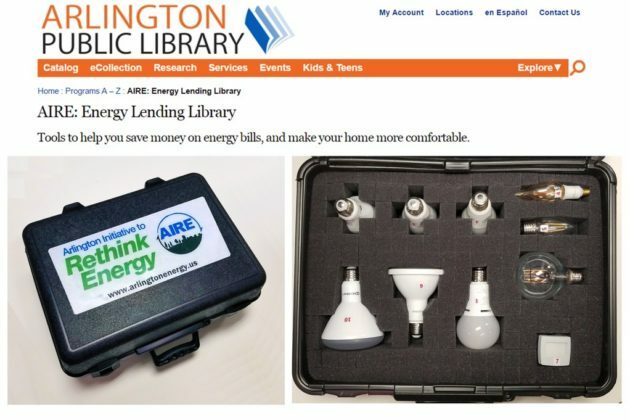 Stop by the Arlington County Library to borrow free energy efficiency tools, along with the information needed to identify and act on energy efficiency opportunities. 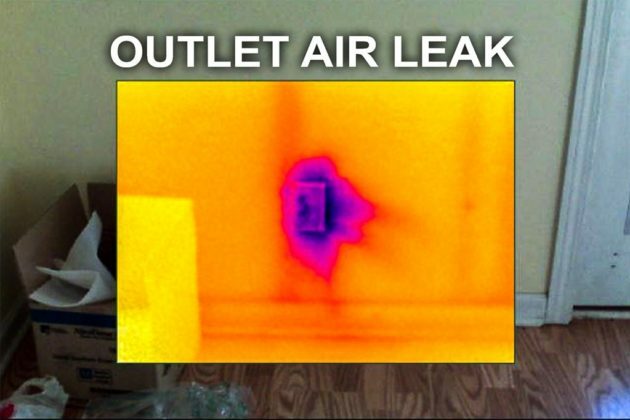 Thermal imaging cameras see what your eyes can’t. 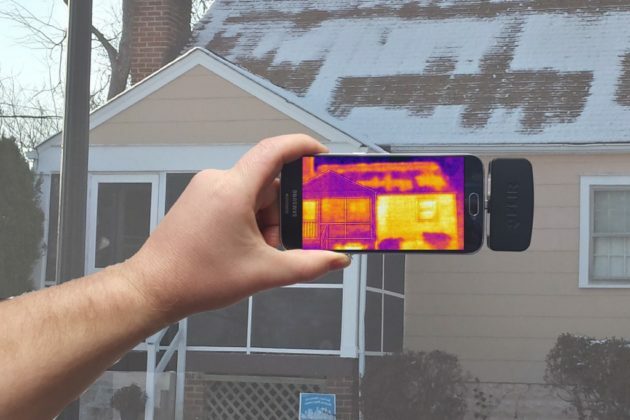 They help identify hot and cold spots in your home, indicating where insulation is missing and where air leaks occur. 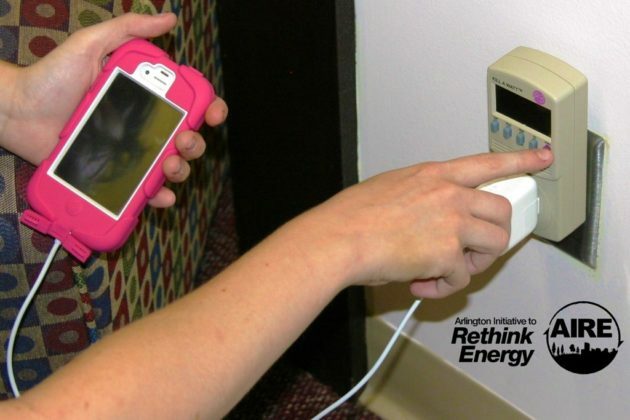 Energy meters show exactly how much electricity appliances and electronics consume. Understanding energy use in your home is the first step to taking action toward a “greener” home. The curated booklist offers energy saving tips and will help your complete “do-it-yourself” projects to save energy and money to make your home more comfortable. The list also includes some Spanish titles. 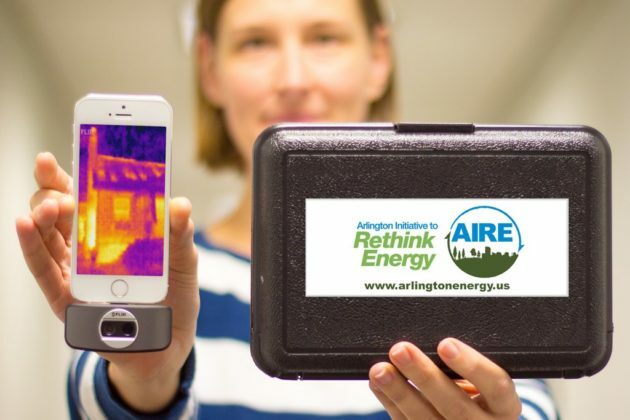 The Energy Lending Library and other AIRE programs offer you energy-saving resources to help rethink energy use and achieve the goals outlined in Arlington’s Community Energy Plan, which calls for a 75 percent reduction in energy consumption countywide by 2050. Join us to create a climate of change here in Arlington. Start by reserving your thermal camera, energy meter and energy books here or stop by your local library.